In a world where space and material resources are precious commodities, our commitment to reusable, recyclable technologies is illustrated emphatically in our custom Conex repurposing programs. MTM customizes Conex box base units to customers specifications. 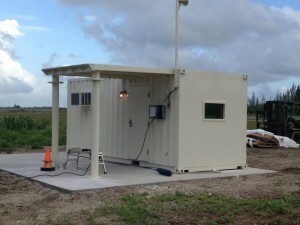 Our base platforms include 20 and 40 freight containers that are converted into single or multipurpose units. 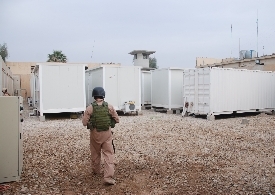 MTM sandwich systems are used to achieving customer requirements whether they are insulation, climate control or ballistic and blast mitigation driven. 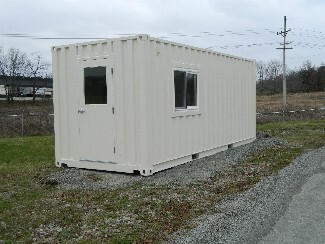 We provide durable, economical, and attractive modular designs for industrial, military and emergency housing solutions. Single Use -These are new containers that have had one load shipped in them. By allowing a shipper to use the container for a single load, our cost to position a new container into North America is reduced significantly. These savings are reflected in the price to you. 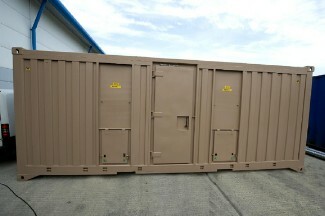 Cargo Worthy - This quality of container can be used in containerized export shipments. Cargo worthy containers must meet standards of structural strength and be wind- and water-tight. Containers meeting IICL 5 standards generally are of a better quality than containers showing as just cargo worthy. As Is - This condition should alert the buyer that there may be damage to the container that could be expensive to repair. Used containers are normally sold without a warranty. 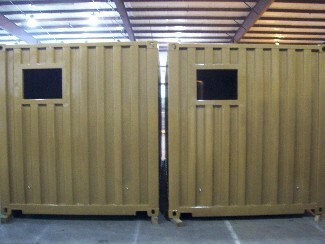 The best protection for a buyer is to purchase containers from a reputable supplier with a warranty.